Rusev was confirmed as AJ Styles' next challenger as he won the number one contender's gauntlet match on SmackDown last night. Rusev came into the gauntlet last, submitting The Miz and winning a title shot against AJ Styles at Extreme Rules. 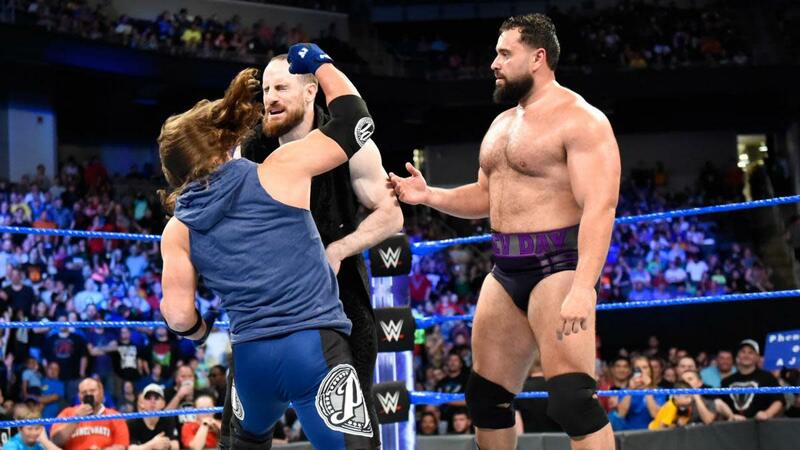 He shook hands with Styles after the match, but Styles punched Aiden English when English pulled his hand back and mocked him. Daniel Bryan defeated Big E and Samoa Joe in the gauntlet but was pinned by Miz. Bryan's entrance had interrupted The Bludgeon Brothers as they were heading to the back after retaining their titles against Luke Gallows & Karl Anderson, and Harper & Rowan came back out to attack Bryan before he lost to Miz. Also on SmackDown, Carmella and James Ellsworth gloated after Money in the Bank and were confronted by Asuka, Becky Lynch got a win against Billie Kay, and Shinsuke Nakamura and Jeff Hardy continued to feud following their match from last week.